With an aim to deliver all our responsibilities inside stipulated time, our organization has constructed a well segmented infrastructure setup. Our offered SS Pipe Fittings are ideal for those pipelines that are introduced under the states of high weight, erosion and vibration. 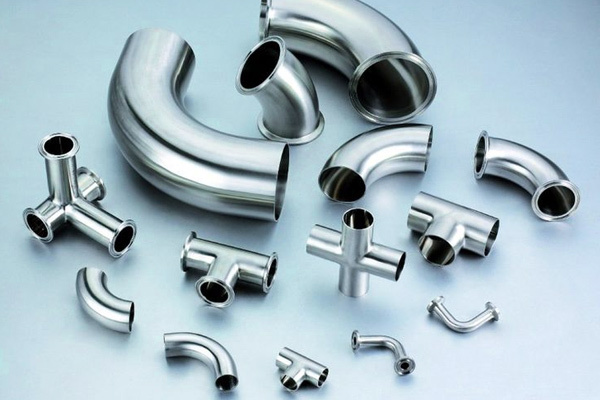 These Stainless Steel Pipe Fittings are suitable for both pressurized and non-pressurized applications, and furthermore open in extensive variety of development materials relying upon the idea of media to be transported Our diligent work and steady execution have yielded positive outcomes, throughout the years, presented us with progress alongside the trust of incalculable benefactors spread the whole way across the globe. We have embossed our name as a reputed manufacturer, trader, exporter, wholesaler and supplier in the industry.